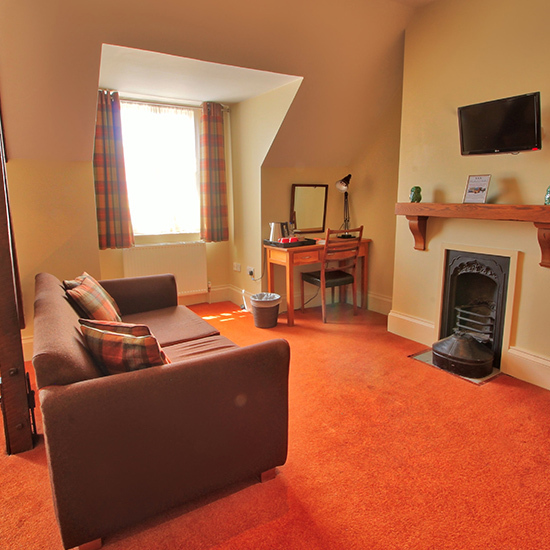 We have ten lovely en-suite bedrooms in our B&B, with all the little comforts you’d find at home. Each one’s simply but stylishly decorated in keeping with the pub’s age, making the most of original fireplaces, ancient beams & low doorways. Some rooms overlook the hustle and bustle of the high street, others have a view over our sunny patio hidden away at the back of the pub. 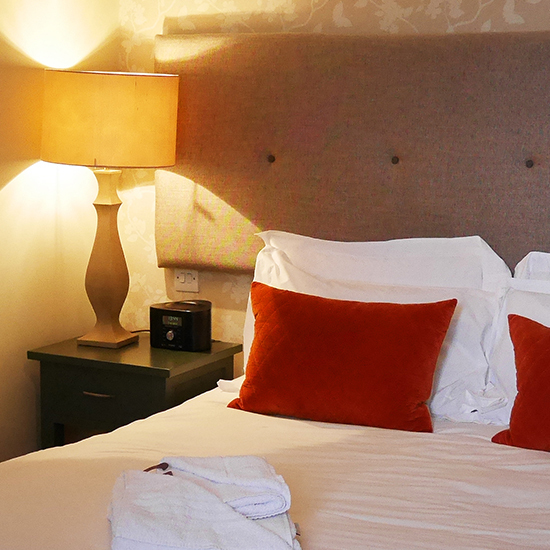 We have doubles with king-size beds, twins and family rooms. There’s even a box room if you just want somewhere cosy to hole up for the night, plus a fully accessible double room on the ground floor. 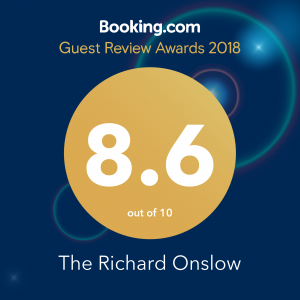 All of our rooms have really comfy beds, great linen, power showers and lovely toiletries, as well as mod cons like flat-screen TV with Freeview, free WiFi and tea and coffee-making equipment. Friend or stranger, we promise you a warm welcome. The Richard Onslow is part of the independently-owned Peach Pub Company. Peach is a collection of characterful gastropubs and hotels, mainly in market towns and villages around the heart of England. 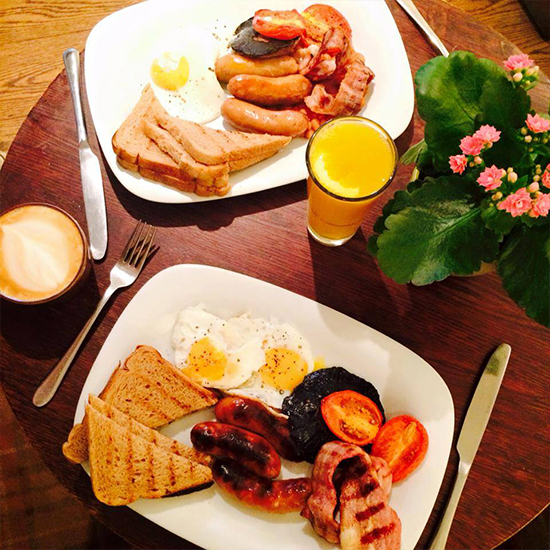 Since 2002 we have been serving high quality food and drink in relaxed, welcoming surroundings. Our pubs are individual and spirited; great places for local people, businesses, families and visitors from home or abroad to eat, drink and sleep in – and to call their own. Each pub is different, individually designed to suit their town or village. We also enjoy the challenge of restoring and enhancing what are often historic buildings. If you see anything you like in terms of our décor or artworks, and would like to source them for yourself, please ask one of the team for details and prices. We showcase British artists and small manufacturers of furniture, fabric and wallpaper wherever possible and are always happy to spread the word about the craftsmen who supply us. Peach is not a chain. It’s a group of likeminded enthusiasts. We aren’t trying to be the biggest; we’re out for perfection on a small scale, fuelled by a passion for good food and drink, great service and real hospitality. Our T’s & C’s available here. STAYING WITH ON A SATURDAY? GET A HUGE SAVING IF YOU STAY FRIDAY OR SUNDAY TOO. BE REWARDED FOR BEING ORGANISED AND RECEIVE A DISCOUNT WHEN BOOKING 90 DAYS IN ADVANCE. JOIN OUR LOYALTY SCHEME. BOOK 10 ROOMS GET A SUNDAY NIGHT FOR FREE.